Manufacture Trent XWB Storage Pallet. Approx pallet size 900mm(W) x 900mm (H). Overall max height to be kept as low as possible in final design. This quotation includes the metal fabrication, the 10mm thick nylon support pads and securing ratchet straps. The base of the pallet will feature a turntable ring allowing the top section to rotate. To lock it in position spring loaded index pins will lock into a hole on the base section of the turntable ring. 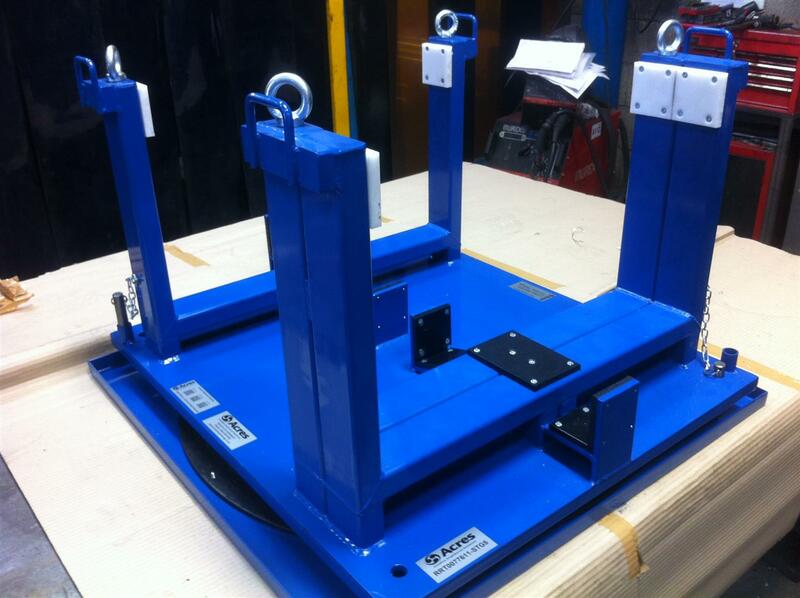 Includes load test, fitting instructions and identification plate. Pallet 1 – 97K XWB HPC Stage 4 & 5 Collets (to house collets RRT077608 & RRT077611). Pallet 2 – 97K XWB HPC Stage 4 & 5 Back-ups (to house back-ups RRT077610 & RRT077612). Pallet 3 – 97K XWB HPC Stage 6 & Cone Collets (to house collets RRT077613 & RRT077615). Pallet 4 – 97K XWB HPC Stage 6 & Cone Back-ups (to house back-ups RRT077614 & RRT077616).